Pittsfield- Mr. Robert “Pidge” Taylor, age 79, died Sunday, July 8, 2018 at the Berkshire Medical Center after a brief illness. Mr. Taylor was born in Pittsfield on June 2, 1939, a son of the late Leverne and Eleanor Watkins Taylor. He attended St. Joseph’s High School, and then went on to work as a Machinist for over 45 years with Balgen Machine Co. in West Stockbridge. Pidge was a quiet man who found great pleasure in the simple parts of life. He was a talented pool player, having earned numerous trophies while playing in tournaments, and loved to play poker and lottery games. 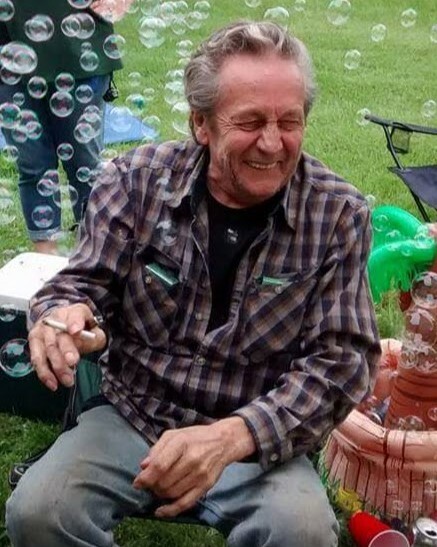 He enjoyed spending his time outdoors, whether he was golfing, hunting or camping. He also loved good old country music; So much so that named his best four-legged friend after Reba McEntire. Reba is a beautiful boxer pit-bull mix. Pidge leaves his former wife and best friend, Lauretta Taylor of Atlanta, GA, and their three children, Jeffrey Taylor and his husband Hsien-Lin Hsieh of Atlanta, GA, Jane Taylor and her wife Courtney Lelinho of Beverly, and Jill Taylor of North Adams, and one grandson, Mathew Ranzie of GA. He also leaves his children from his marriage to Colleen Markwith, Robert Markwith and his wife Filiz of Salem, Melissa Taylor of North Adams, and Sarah Markwith, 2 step grandchildren, his brother, Bruce Taylor and wife Karen of Pittsfield, 2 sisters, Eleanor Rosier of Pittsfield and Judy Sweener of FL, as well as many nieces and nephews. Besides his parents, Mr. Taylor was predeceased by 3 brothers, Norman, Leverne, and Charles Taylor and one sister, Emily Amuso. SERVICES: Calling Hours for Mr. Taylor will be Saturday, July 14th from 10am-12pm at the DEVANNY-CONDRON FUNERAL HOME, 40 Maplewood Ave. Pittsfield, MA with funeral services to immediately follow beginning at Noon. Burial will be at a later date. In lieu of flowers, Memorial Donations in Pidge’s memory may be made to Soldier On, in care of the Funeral Home.